Following eight months of testing, using advanced techniques from x-rays to infra-red and paint analysis the portrait of the artist aged 29 depicted wearing a velvet cap and a decorated cape has been declared as a genuine work. The painting arrived at Buckland Abbey in Devon in 2010 from the National Trust through the estate of Lady Edna Samuel of Wych Cross, whose husband had bought it in the 1960s. The house and collections manager put it in storage as there was no space on the walls. Last year news emerged that one expert had changed his mind about the 1636 portrait of Rembrandt that was dismissed by specialist Horst Gerson and the Rembrandt Research Project in 1968 either as a copy or as a work by one of the painter's pupils. Rembrandt Harmenszoon van Rijn, master of the Dutch Golden Age of painting, produced an estimated 50 oil paintings, 32 etchings and seven drawings. Expert Ernst van de Wetering began to question the prevailing wisdom in 2005 which prompted the National Trust to send the work to the Hamilton Kerr Institute (HKI) in Cambridgeshire, which specialises in conservation work for easel paintings. The painting was cleaned and varnish added after the painter's death was removed, unmasking the original aspects of the work. These techniques proved that the former queries over its authenticity were incorrect. 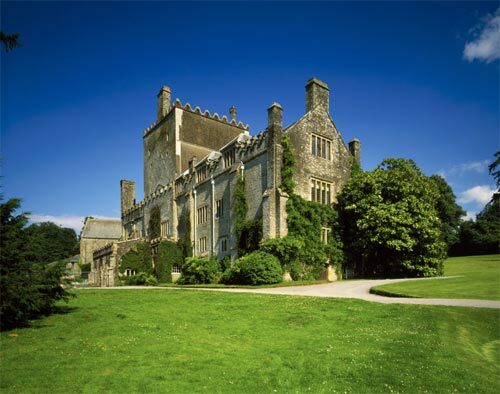 The Rembrandt is now on view at Buckland Abbey in Devon, England a 700 year old building with a 16th century great hall. Associated with Elizabethan seafarers Drake and Grenville. Van de Wetering said: "Although I was pretty certain the painting was a Rembrandt when I saw it in 2013, I wanted to further examine it after cleaning and see the results from the technical analysis as this had never been done before. With all this additional scientific evidence, I am satisfied it is by Rembrandt." 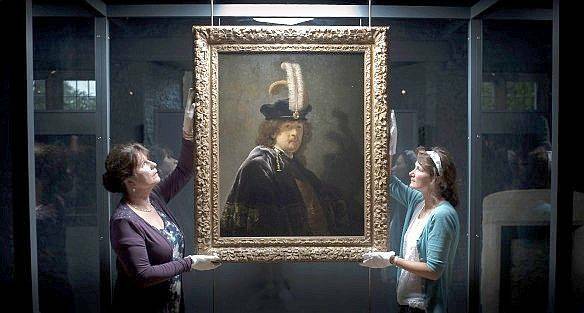 The self-portrait, valued at nearly $50 million, is expected to attract a large number of visitors to Buckland Abbey where it will be on view in the exhibition "Rembrandt Revealed." See more Rembrandt on Barnebys here.